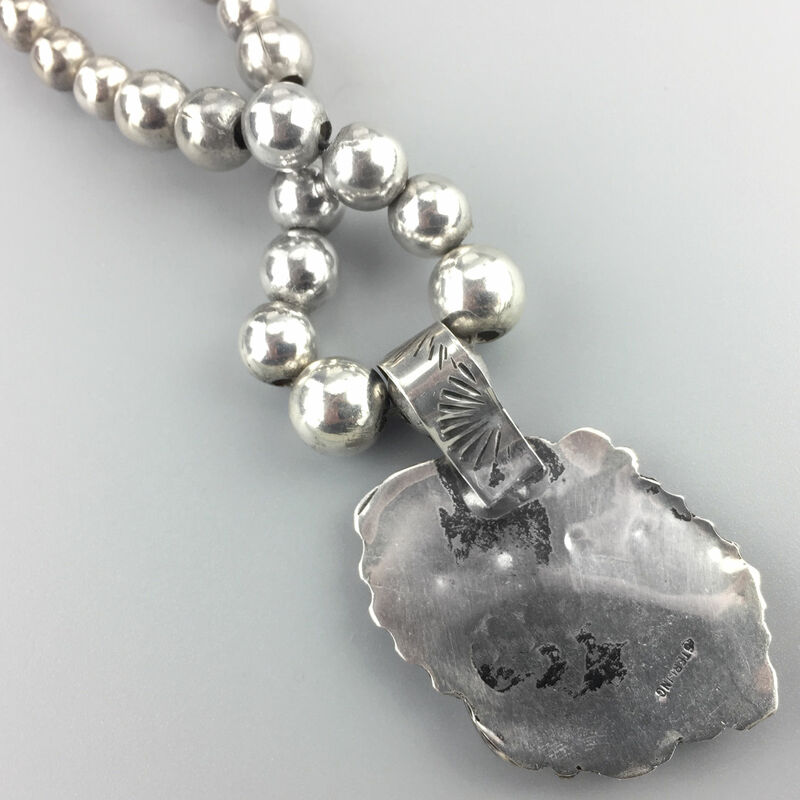 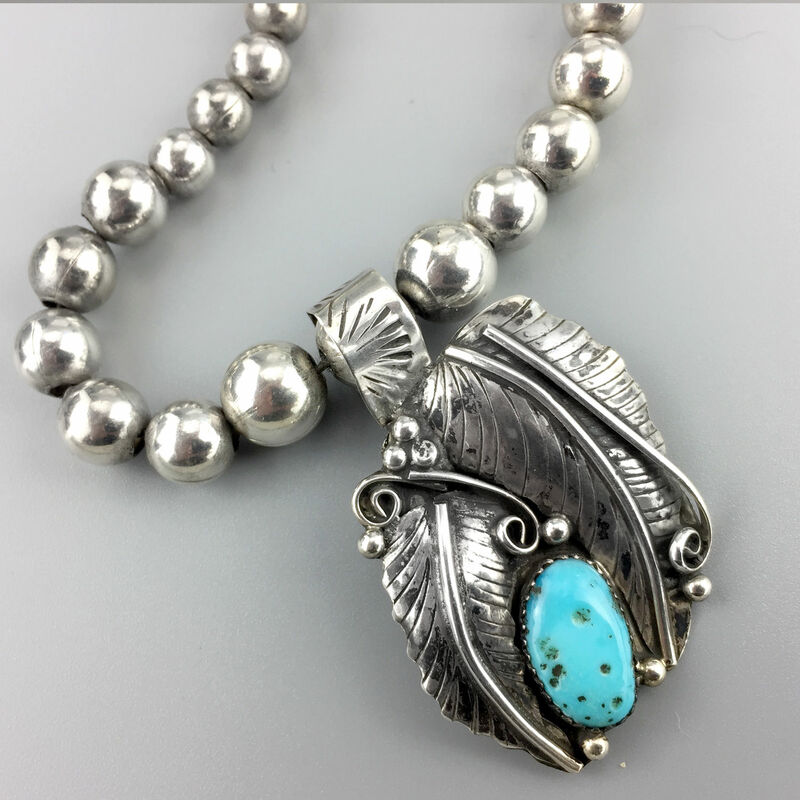 Lovely sterling silver Native American necklace. 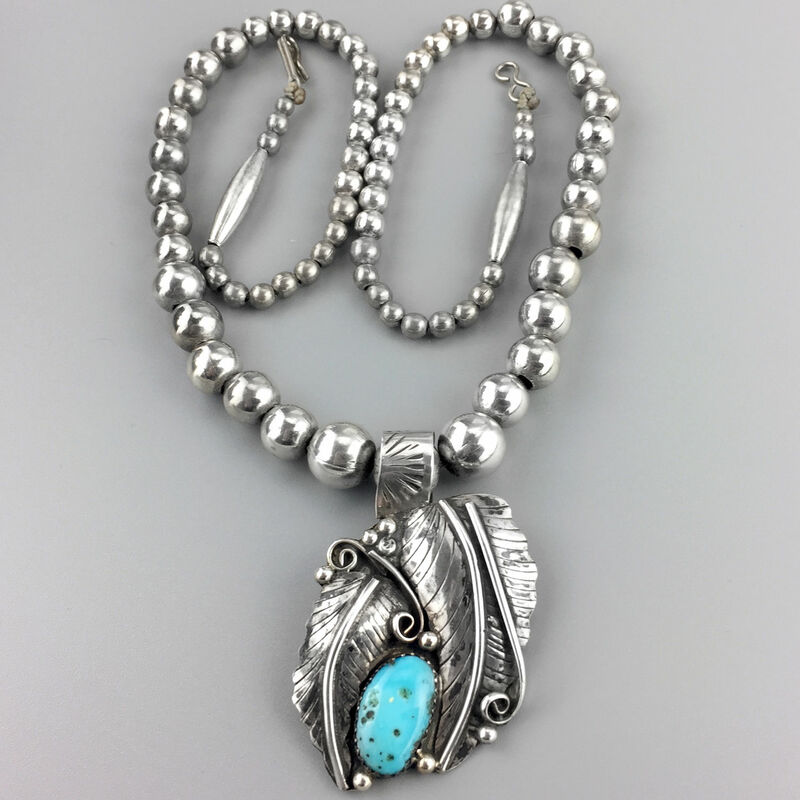 Light, hollow sterling silver bench beads with a large sterling silver pendant, sawtooth bezel set turquoise in a leaf setting, a large and ornate bale. 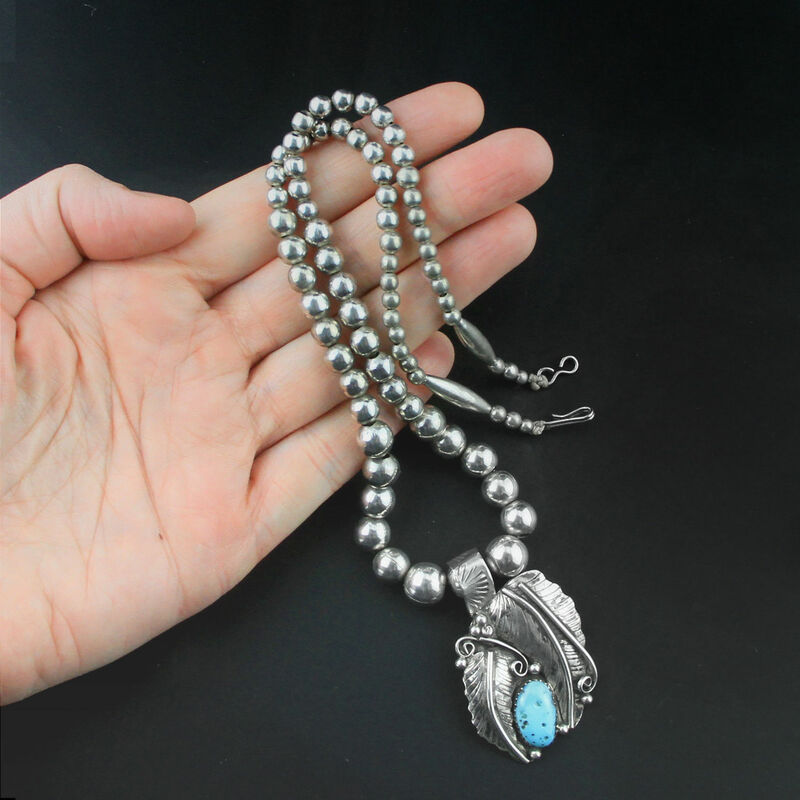 Clasp is a sterling, twister wire toggle clasp, strung on coated wire. 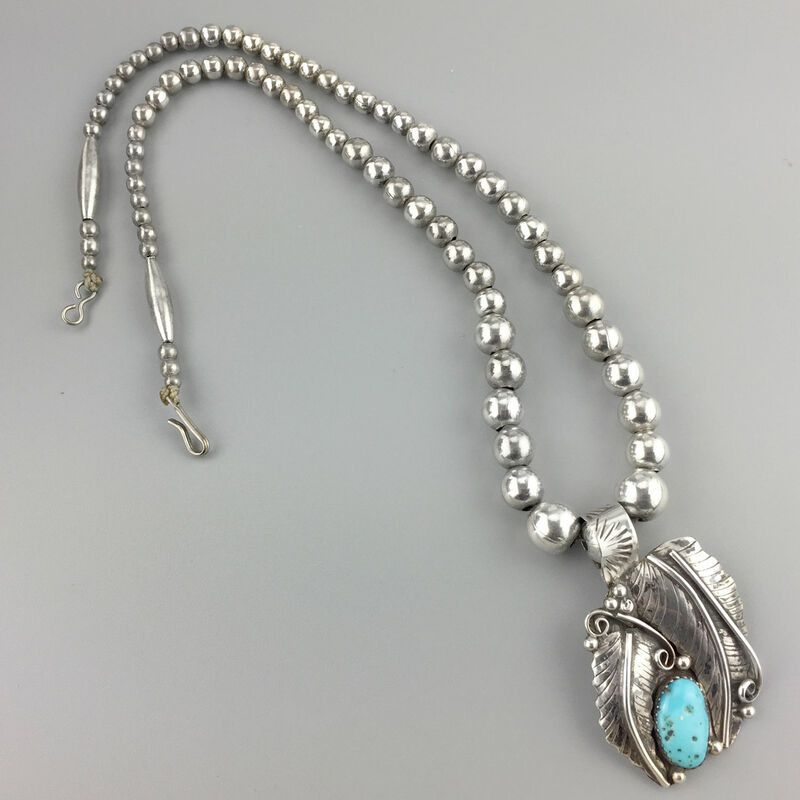 The pendant and beads are Native American but the clasp is unusual so I am assuming it has been restrung at some time.